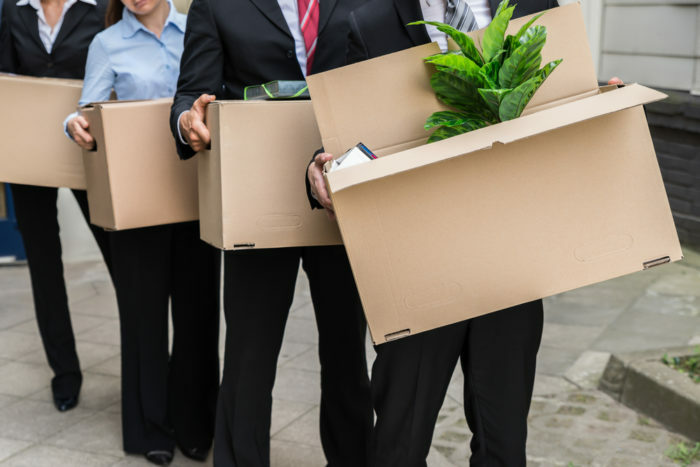 In rapidly changing markets, layoffs are a possibility in any industry, at any time, and are bound to send shock waves through an organization. Organizations often change direction in response to market needs and pressures or will jettison one line of business and start hiring in another. When organizations choose layoffs by job function, they typically consider not only current roles, but also skill sets needed for the future. Management may realize it cannot continue doing things the way it has and will therefor reevaluate skill sets necessary to move the organization forward. Managers must be trained on how to deal with the range of reactions employees may have to separation. Working with HR, managers will play a critical role in understanding the impacted individuals so that each situation is handled appropriately and delicately — identifying, for example, stressful situations in an employee’s personal life such as illness, family/children/elderly parent responsibilities, divorce, financial concerns. Anticipating potential reactions and significant concerns that face employees help inform support services available including medical, EAP, or security personnel at the time of notification. Quiet private space to accommodate the one-on-one notification meetings is essential. Be prepared to address employee concerns that day and in writing when necessary. Provide managers with a resource to direct employees to in the following days for additional questions. Best practices include on-site outplacement consultants and giving exiting employees a next step in the smooth implementation of a reduction in force. Regardless of the size of the reduction, nervousness about the stability of the organization is created among the “survivors.” Understanding the specific impetus for the layoff is a huge part of how remaining employees will evaluate and respond to the situation. Calming workforce anxiety and re-recruiting talent during this time of uncertainty is vital; reassure people of their expertise, the value they bring to the table, and the organization’s desire to treat people fairly. Keep the emphasis on continuing to do good work. Managers need to be highly visible, ask how they can help employees, and answer questions. Without breaking confidentiality about the individuals impacted, managers need to reassure remaining employees that separated employees were treated fairly and provided with financial support, benefits continuation, and career transition support/outplacement. Managers need to avoid closed door meetings as all eyes are on them as employees look to confirm any plan for another reduction. The organization needs to prepare a consistent answer to the inevitable and very difficult question: “Is there another RIF coming?” Resiliency training following a reduction in force helps remaining employees return to productivity faster and returns focus to doing good work rather than the restructuring. Reductions in force are a part of the talent lifecycle – hiring people, developing people, and transitioning people out of an organization. Outplacement, once a transitional support provided to executives, is now provided at all levels of an organization. Companies see the value in protecting the corporate brand, avoiding litigation, delivering a positive message to remaining employees, and recognizing that separating employees may become valuable alumni as customers, organizational advocates, or even returning employees in the future.